We had a great time walking the streets of San Juan a few days ago. The goal was to find little known restaurants and see what great food this city has to offer. 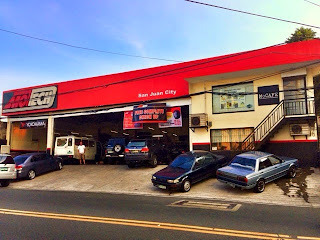 We've done Quezon City in the past and that has been pretty successful. I haven't been here that much because San Juan usually is just a place to pass by when you're going to and from QC, Mandaluyong, Manila and Makati. 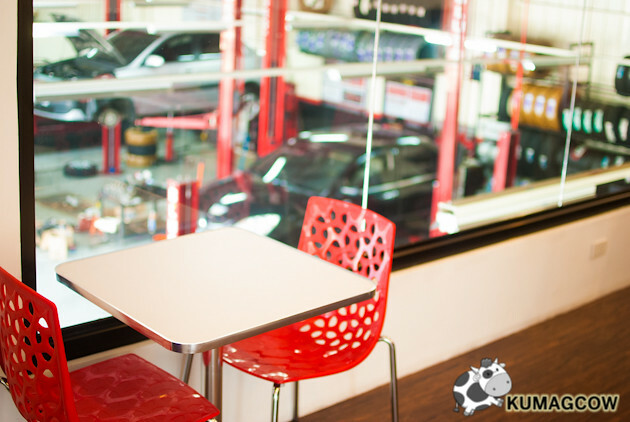 We started with a new joint over at F. Blumentritt Street in San Juan City. It's in the same building as MOTECH which is a service center for cars. While waiting to get their cars fixed, people used to just sit and watch in the perimeter while mechanics do their work. Sometimes it takes hours, so putting up MoCAFE was definitely something smart to begin with. The place is small and cozy. It can probably sit around 15 people but can perhaps accommodate more because there were still some space in the front where they didn't put any seats yet. It's air conditioned, they can cater to small events. They've also got cable and very strong wifi. The place has very low foot traffic so you won't see that much people to bug you when you're relaxing or reading a book with your cup of joe. People who go here usually have cars and stuff that need to be serviced by MOTECH next door, but of course there are perks off of that. You get to be comfortable and relaxed in this place while lounging, having coffee, a bottle of beer or breakfast all day! I had this Strawberry Basil Milkshake. It's a little different from the normal ones I love which is more on the creamy side. 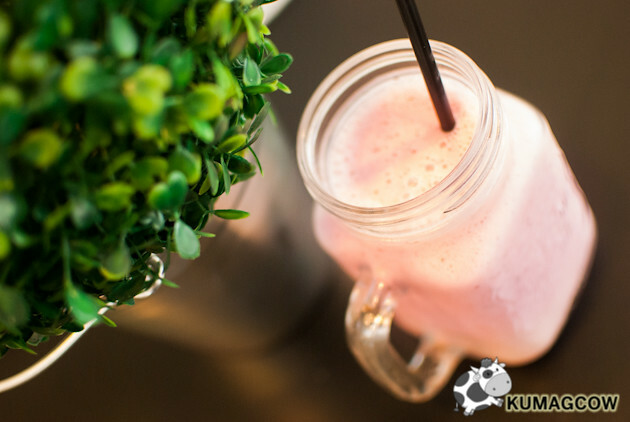 It presents a more adventurous taste by getting you a not so common combination. It worked for me, I think it got the drink a bit more interesting. It cuts the things you eat if you had something too oily. I think it has it's own charm and it's not that expensive. 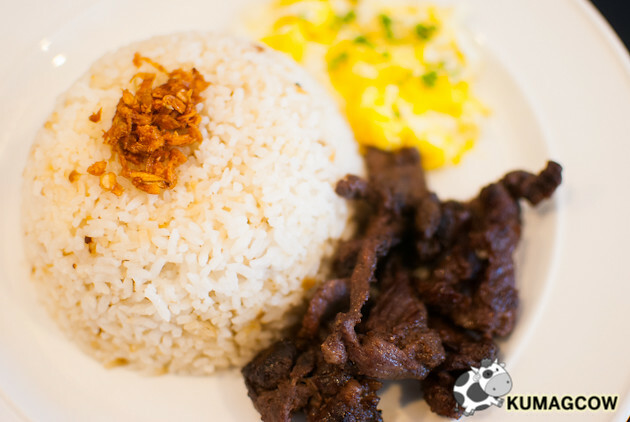 The owner Chef Julia Enriquez wanted something that would not really break the bank as most of the items on the menu are not over 350. 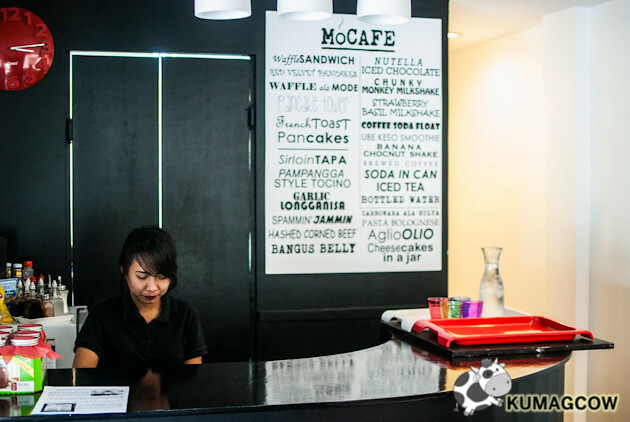 If you're just looking for something comforting and easy, MoCAFE is the place for you. 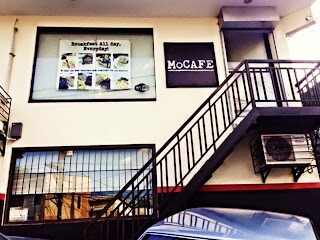 This is MoCAFE's Sirloin Tapa. It's soft, savory, sweet and salty, then it's paired with intensely garlicky rice so you kinda would love having this for breakfast, lunch or dinner. Their all day breakfast menu is planned quite good as they also got Spammin Jammin, Hashed Corned Beef, Garlic Longganisa and Pampanga Style Tocino. Although, this one is the best seller and I'm not surprised because it's really good. 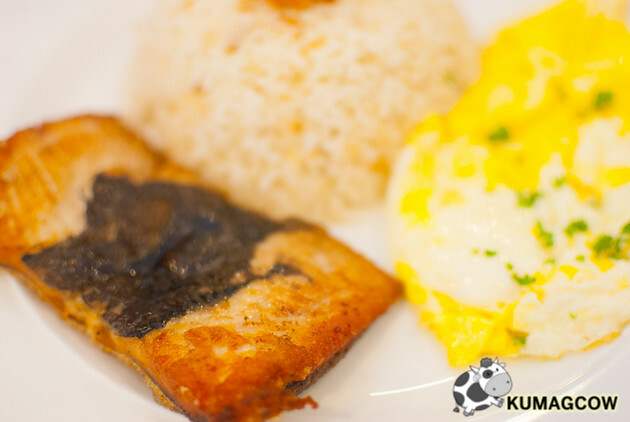 Aside from the Sirloin Tapa, might I suggest you get this Bangus Belly which is more on the healthy side. They marinate the fish with Garlic, Vinegar, salt and pepper so you don't get a fishy smell. You can also ask them how your egg would be done. These plates range from 85-120 pesos so it's pretty cheap especially if you count the ambiance, the amenities of this place. This is my Pancake Tower. The Chef made it from scratch and had this layered with cream cheese and blueberry sauce in between. I loved how they got my favorite things in one plate and if you think you can't finish this you can have it shared. Although I know you'll probably end up finishing this plate because it's quite good. The cream cheese is also addicting. 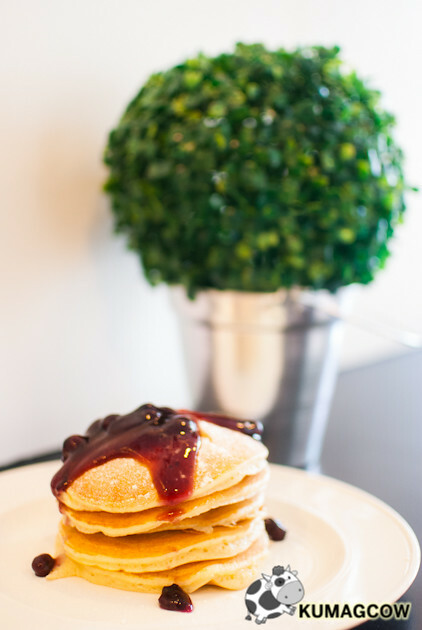 The Chef wanted to make everything from scratch including the maple syrup so there's going to be remarkable improvement coming to an already good dish. 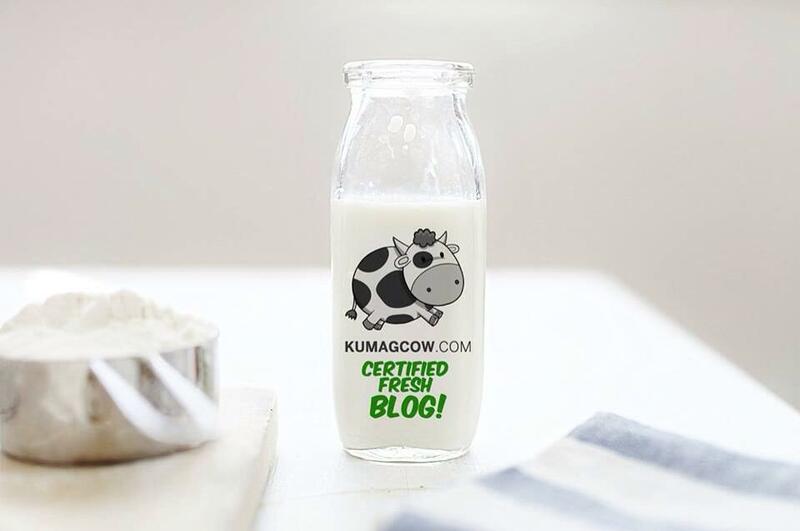 I would suggest you let your friends order this so you can grab some from their plates, a pretty smart idea haha! 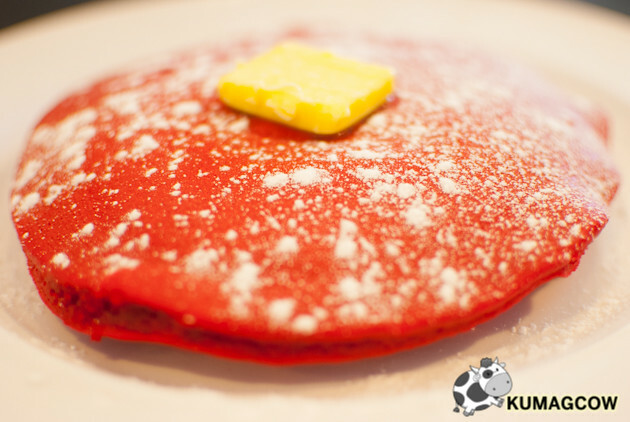 This one is MoCAFE's Red Velvet Pancakes. If you love Red Velvet cakes, this might be a good thing to have when you're in the joint. It's got the same taste although a bit on the floury side. I was looking for something tangy but it seems to have disappeared into the mix. Maybe a little Apple Cider Vinegar could fix it but overall it's fine. 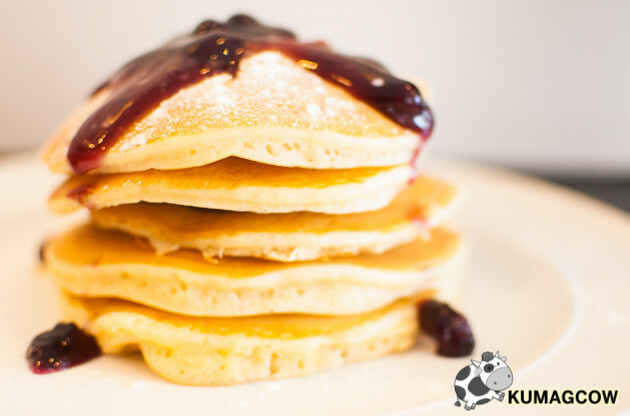 It's 2 stacks of pancakes also is mixed with a hint of chocolate with powdered sugar, a dollop of butter and syrup on top. Pretty good for a light breakfast. 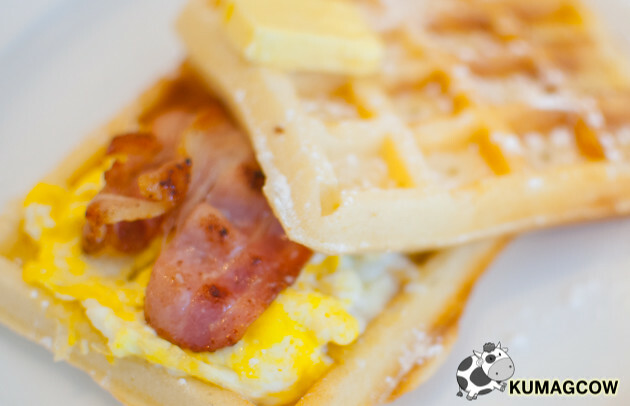 This is MoCAFE's Waffle Sandwich. It's got all the things in breakfast that you'll love! Although I prefer a more browned, crunchy waffle, they made this a little softer so it would mimic a real sandwich. I think it would be better though if it were more crunchy, but of course it's a preference. It's sweet and savory in one plate, a pretty filling one at that. You'll be full in no time. 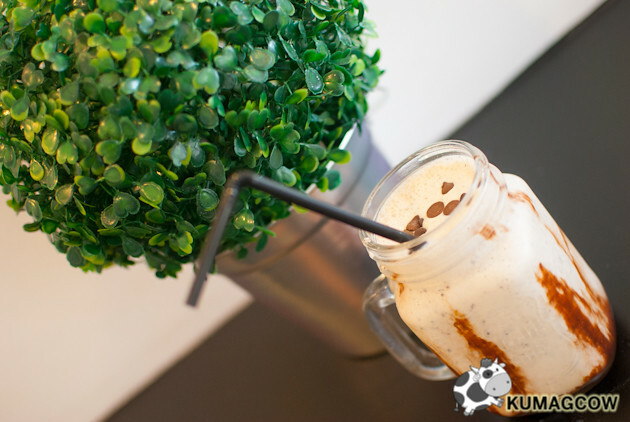 This is MoCAFE's Chunky Monkey Milkshake. It's got all the nice chocolatey things inside wallowed in Vanilla Ice Cream and Bananas. It's sweet and chocolatey, pretty good for something very affordable at 110 pesos. It could easily beat those coffee shops where you need to shell out 200 bucks to get something this big. They use Mason Jars so it's already big. I bet ladies won't even share this, it's quite good. It doesn't look that appealing now because it was left in the air during this time but it's really good. It's a cross between coffee and soda, then a scoop of Vanilla Ice Cream so it bubbles up like a float. 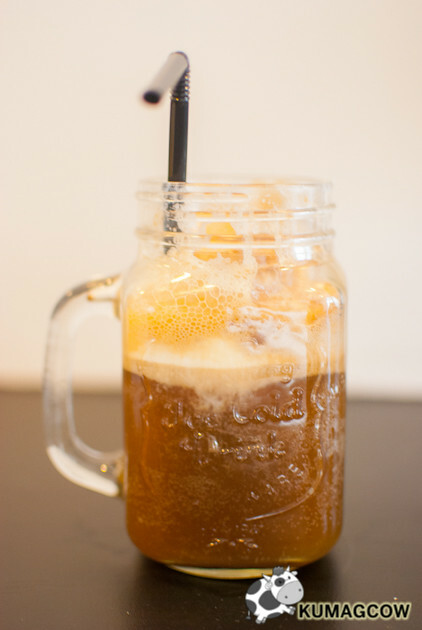 They call this Coffee Soda Float, and I think I like it a lot! Do not leave this place without ordering this. 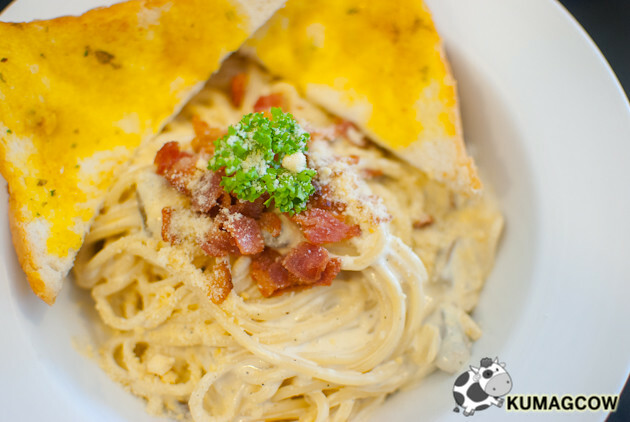 This is their Carbonara ala Hulya. One of the best Carbonaras I've ever had. They know how to cook it and it's VERY creamy. 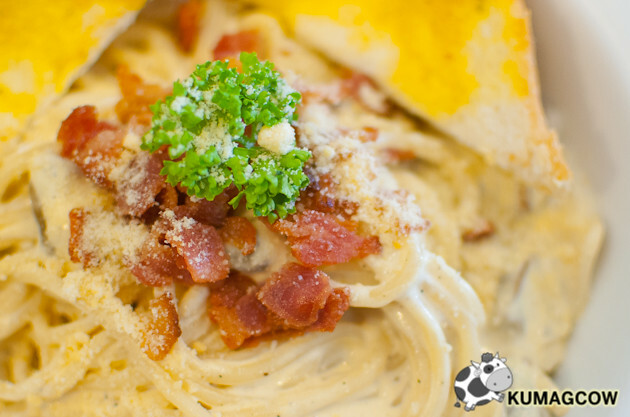 It's an improved recipe because the Chef wanted a better version of her mother's carbonara. It's got all the bacon, the creamy sauce you would want in a dish like this and I think this is the second best Carbonara I had in my entire life. I've had a lot of course and if it's up there in my list, it's VERY GOOD. The price point is also something to think about because this is very cheap (in a good way) compared to the expensive ones I had in other restaurants. She definitely knows what she's doing. Oh no, I'm not even hyping this thing. Trust me on the Carbonara. Chef Julia Enriquez says "I wanted everything home made. The next time you're here maybe I'd be able to make the maple syrup, even the butter home made. The serving here is big and we've done that to satisfy the budget conscious. 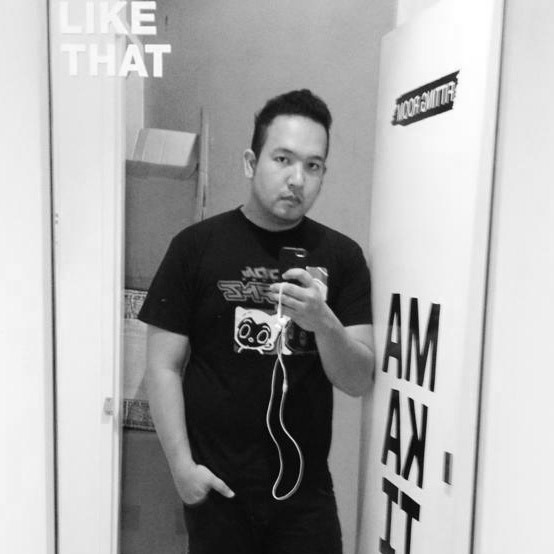 I'm into volume and I hope there are more people who would be able to enjoy this in San Juan." 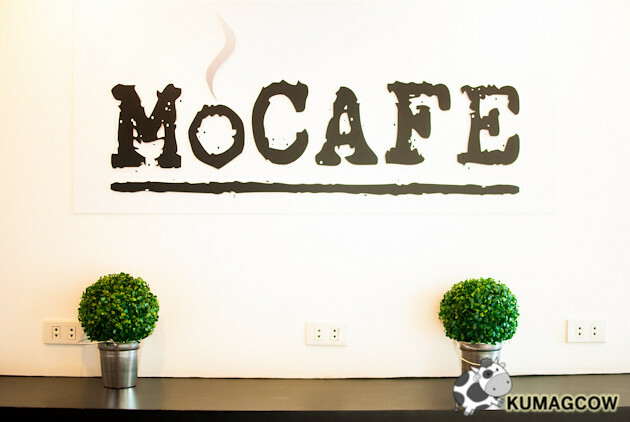 MoCAFE is located at 212 F. Blumentritt St., San Juan City Metro Manila, Philippines. You can call them at 09159240684. They are open everyday from 8:30am - 8:00pm so if you're in the area and looking for some place to hang out without getting bothered by the usual Starbucks crowd, try one of the coziest space in San Juan. It's worth every penny, and has got BIG servings. Again, trust me on the Carbonara. We'll have more of this San Juan Food Crawl on next articles so stay tuned!